Robert Rorke at the New York Post offers a piece one Ed Burns' new police drama, Public Morals, and how Burn's cop father inspired the TV program. Ed Burns’ new crime drama, “Public Morals,” is a gritty valentine to his police-sergeant father. Growing up on Long Island and in Queens, Burns was regaled by his father, Edward J. Burns, with stories of his cop exploits. Many of dad’s stories have found their way into the show, which premieres Tuesday at 10 p.m. on TNT. 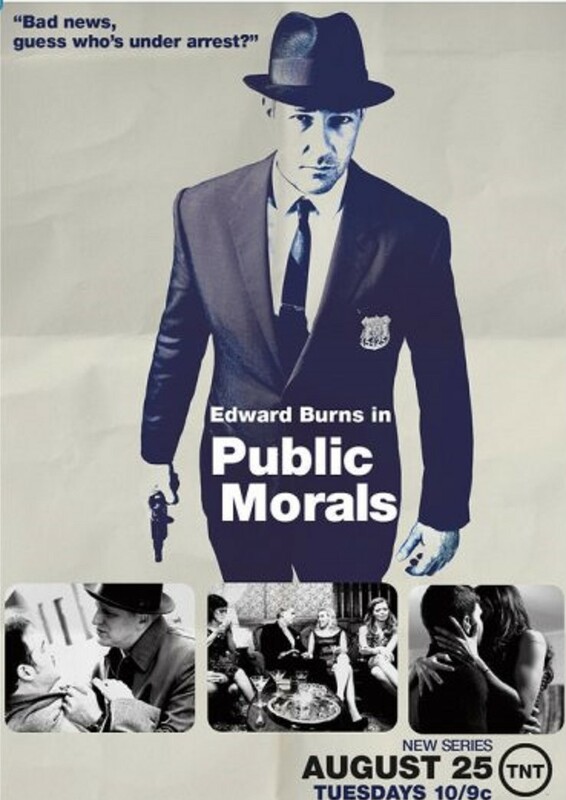 Burns directs and stars as Terry Muldoon, head of the Public Morals Division, a plainclothes unit of the NYPD specializing in “victimless crimes.” He supervises a tightknit band of officers who crack down on everything from prostitution to illegal craps games. The actor’s 78-year-old father, who lives on Long Island, served as both inspiration and informal adviser. Muldoon even has the same badge number — 5425 — as the elder Burns did.